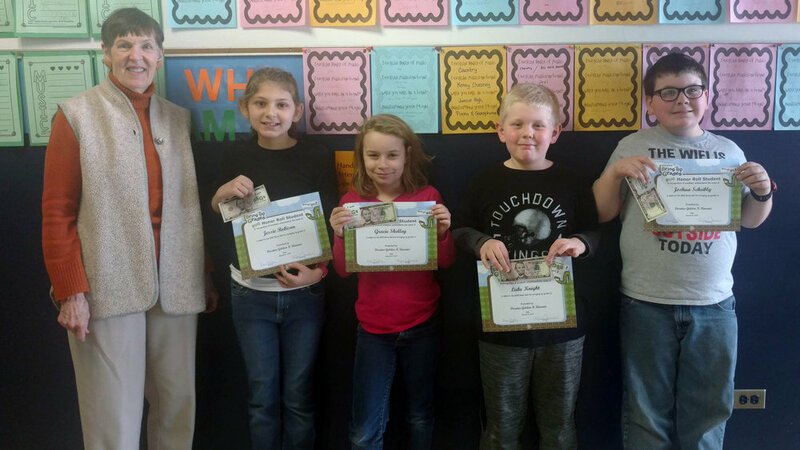 Congratulations to our 4th grade BUG (Bringing Up Grades) winners for third quarter. Each received a certificate, sticker and 5 dollar bill from Golden Kiwanis. Pictured are Doris Mabry, Jessie, Gracie, Luke and Josh S.